Up until a few months ago, Andy Nguyen had never worked in the food industry. He may not be a chef, but he loves food and he loves ice cream, and after building and growing the IMKING brand he decided to put this heart and passion into a totally new project. 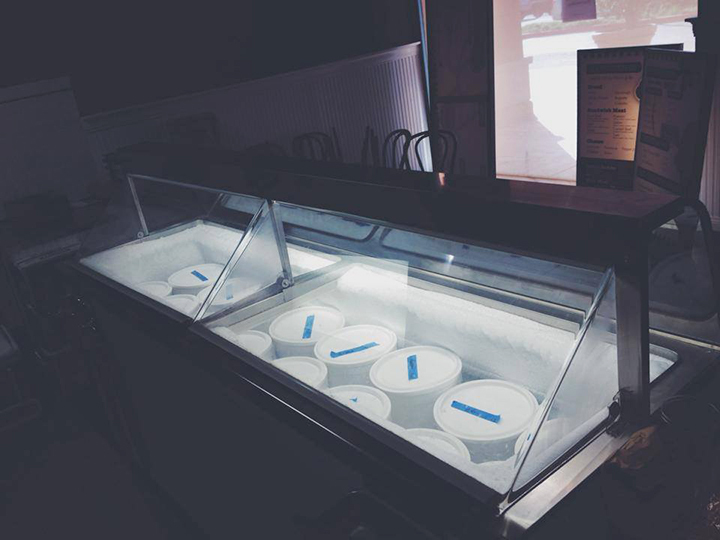 Despite the lack of experience, he is the relentless mad genius behind Orange County’s newest foodie destination AFTERS Handcrafted Ice Cream in Fountain Valley. 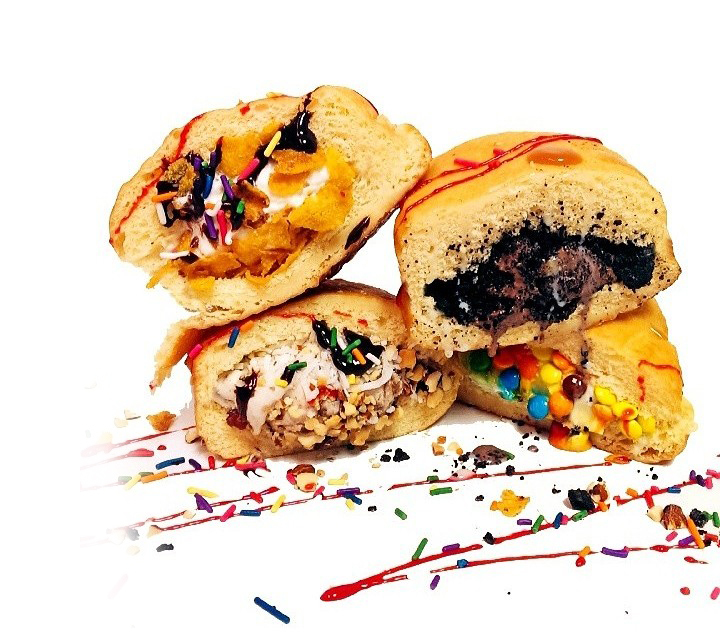 Along with his partner Scott, Andy and the AFTERS team are bringing gourmet, handmade ice cream (and other crazy dessert creations you can read about below) to Orange County that they’re hoping will get people excited and push them out of their boring vanilla comfort zones. 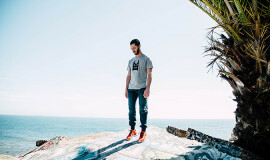 The shop opened up on Saturday and on their first day they sold out of their signature creation (yup, we’re gonna make you keep reading to find out what it is). 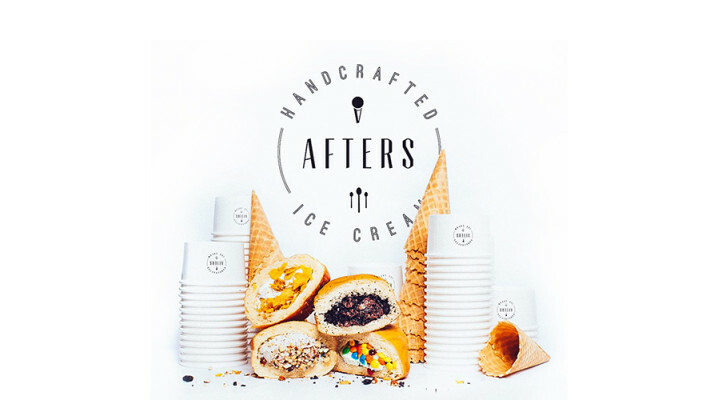 We love what Andy and the team at IMKING are about so when we heard about AFTERS, we had to get the scoop (sorry) and talk to Andy about building with passion, learning a whole new business, and what ice cream means to him. IMKING HAS BEEN GROWING STEADILY OVER THE LAST SEVEN YEARS, DID YOU FEEL THE TIMING WAS FINALLY RIGHT FOR YOU TO BE ABLE TO TAKE A STEP AND START AFTERS? I never took a step back from IMKING. I just sleep much less now. 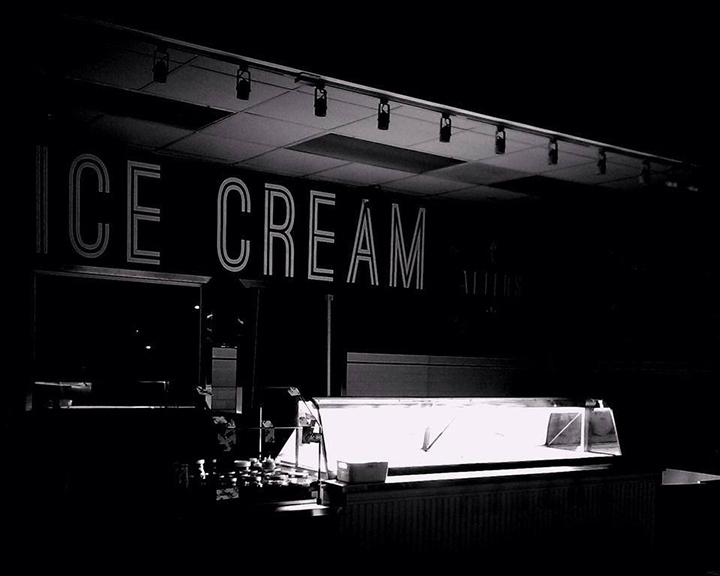 It was a dream to open an ice cream shop and a great opportunity to do it now. The timing was everything. WHAT INSPIRED THE NAME AND HOW DID YOU CHOOSE THE LOCATION IN FOUNTAIN VALLEY? 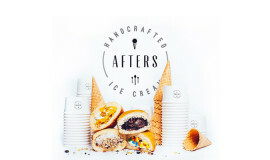 My partner/childhood friend Scott heard of the British term “AFTERS” as a dessert. Something you eat after a meal. 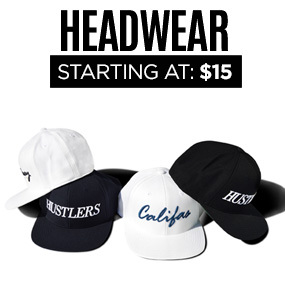 I grew up in Orange County. This is my home and what better place to do it than the city I know best. 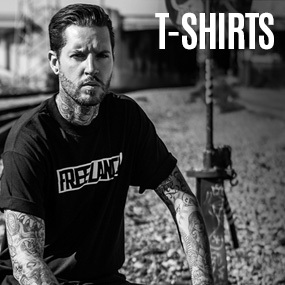 WHAT HAS BEEN THE BIGGEST CHALLENGE STARTING THE NEW BUSINESS? Permits, contracts, financials, training, cooking, learning… everything. I’ve never worked in food in my life. This is something brand new to me. 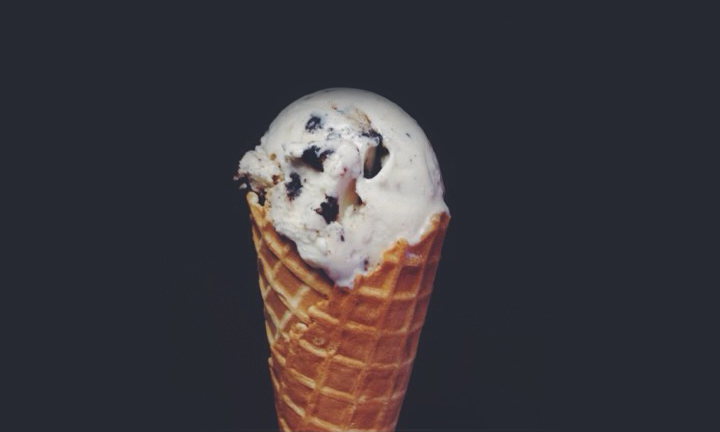 WHAT’S YOUR FIRST OR FONDEST MEMORY YOU HAVE OF ICE CREAM? I remember going to Vietnam once when I was 7, and my grandmother who I met for the first time owns a ice cream shop. It’s located downstairs of her home. I’ve only met my grandmother once and I hope she’s proud that I have an ice cream shop now as well. WHAT’S YOUR FAVORITE FLAVOR OF ALL TIME? My usual go-to has been mint chocolate chip. HAVE YOU BEEN MAKING YOUR OWN ICE CREAM FOR A WHILE, OR DID YOU LEARN FOR AFTERS? I learned for AFTERS. I am probably the worst in the kitchen. I never cook at home and always eat out. And just know it’s not that easy making ice cream. It really doesn’t make itself. 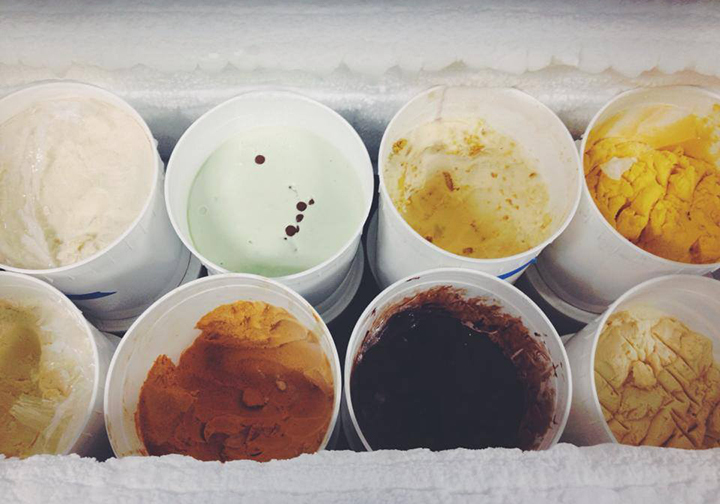 WHAT INSPIRES YOUR NEW FLAVORS? 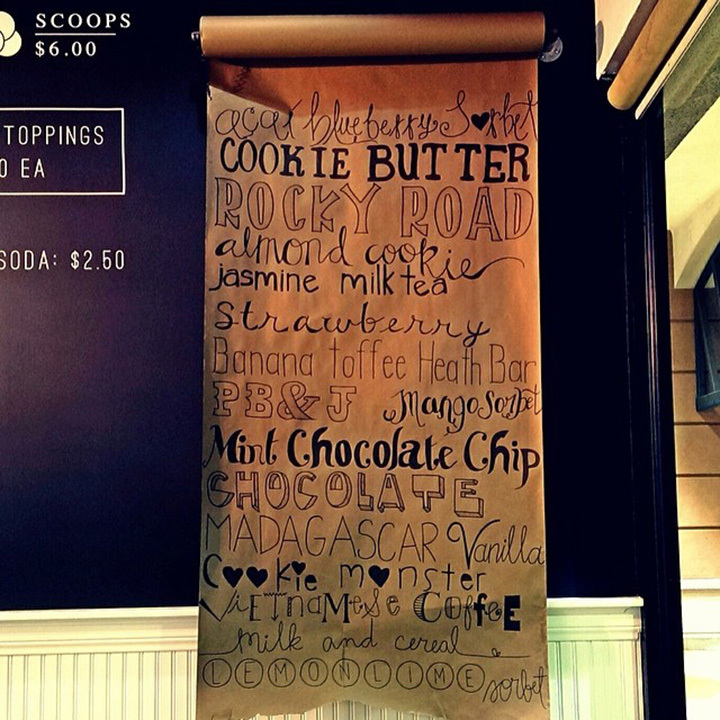 Trying new things is what inspires our flavors. Being bored of seeing the same stuff. I like to make people uncomfortable. ARE YOU GOING TO CATER AT ALL TO THE CALORIE-CONSCIOUS OR LACTOSE-INTOLERANT CONSUMERS, OR JUST KEEP IT CLASSIC? If you are allergic to deez nuts, on a diet, scared of adventure, then AFTERS is not for you. Tryitordiet.com is a website Scott and I created as an excuse to try out the foods no one wants to try. We wanna eat the rare items, the exclusive items, the gross things, the best things…EVERYTHING! Bring it on! We just wanna eat. 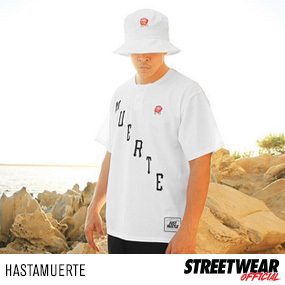 STREETWEAR SEEMS TO BE CROSSING OVER INTO FOOD, LIKE THE HUNDREDS X KATZ, AND CLSC X GOLDEN STATE BURGERS; SHOULD WE BE LOOKING FORWARD TO SOME AFTERS COLLABS? Probably not. IMKING and AFTERS are two separate companies. IMKING is Polo and myself. AFTERS is Scott, John, Polo and myself. The only thing we do that’s alike is we try to be creative and have fun. WHAT’S THE MOST IMPORTANT THING YOU LEARNED BUILDING IMKING THAT YOU’VE APPLIED TO AFTERS? To always be creative, have fun, put together the best team, and get people excited. WHAT’S HARDER, CHOOSING ICE CREAM FLAVORS OR CHOOSING DESIGNS FOR IMKING? Choosing anything is difficult. If it tastes good and looks good then it’s a winner. Life is about the choices we make and I’m going to make the crazier ones. 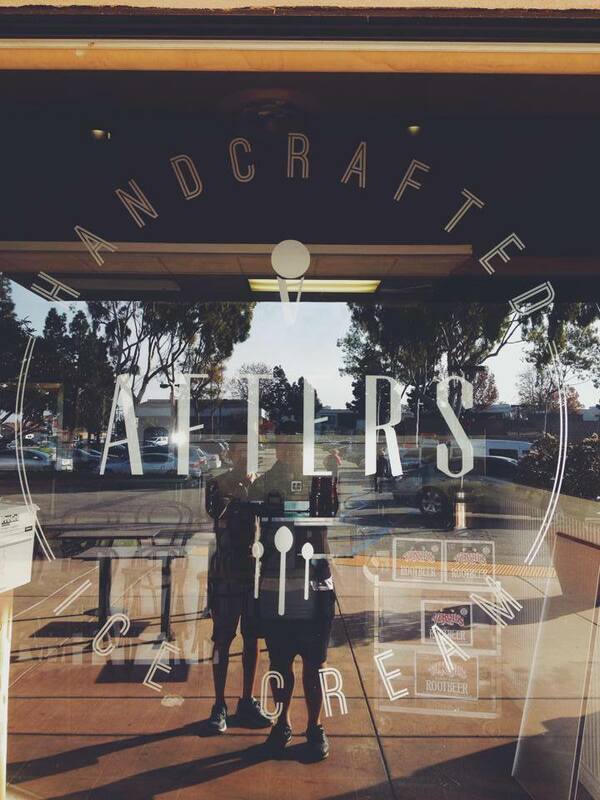 LASTLY, WHAT CAN WE AND THE REST OF YOUR HUNGRY FANS EXPECT FROM AFTERS? Come out and try our “Milky bun” the only place in the world you can find one! And for you potential idea-stealers, make sure your building has fire insurance.